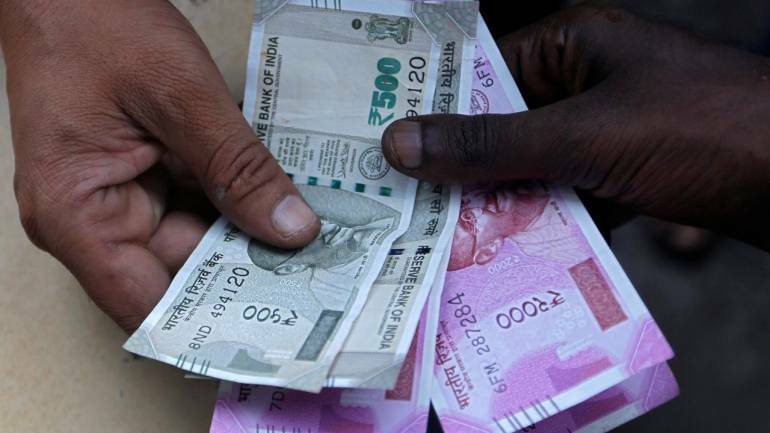 The rupee on Friday weakened by 16 paise to close at 71.19 against the US dollar amid rise in demand for the greenback from exporters and unabated increase in global crude oil prices. This is the second successive week of loss for the Indian currency. During the week the domestic unit registered a loss of 27 paise. In the previous week, the local unit had slumped by 81 paise. Forex traders said foreign fund outflows, gain in domestic equity market and stronger dollar against its key rival currencies impacted the rupee trading pattern. At the Interbank Foreign Exchange (forex) market, the rupee opened lower at 71.12 and fell further to touch the day’s low of 71.24. The domestic currency, however, pared some losses and finally ended at 71.19 per dollar, down by 16 paise against its previous close. “Along with rupee, the benchmark government bonds also dropped, as fiscal worries have continued to weigh on markets with Finance Minister Arun Jaitley hinting of a possible ‘people friendly’ budget ahead of general election,” said V K Sharma, Head PCG & Capital Markets Strategy, HDFC Securities. Domestic equity market closed marginally higher Friday. The BSE Sensex settled 12.53 points, or 0.03 per cent, higher at 36,386.61. The broader NSE Nifty inched up 1.75 points, or 0.02 per cent, to 10,906.95. Meanwhile, the dollar index, which gauges the greenback’s strength against a basket of six currencies, was trading lower by 0.04 per cent at 96.02. “ICE dollar index steadied during the day but was set for its first weekly rise in five weeks as doubts grew on the ability of other major global central banks such as the European Central Bank to start raising interest rates this year,” Sharma said. Brent crude, the global benchmark, was trading at USD 61.90 per barrel, higher by 1.18 per cent. On a net basis, foreign portfolio investors (FPIs) purchased shares worth Rs 842.13 crore Thursday, while domestic institutional investors (DIIs) were net sellers to the tune of Rs 727.46 crore, provisional data available with BSE showed.The Financial Benchmark India Private Ltd (FBIL) set the reference rate for the rupee/dollar at 71.1418 and for rupee/euro at 81.0656. The reference rate for rupee/British pound was fixed at 92.2946 and for rupee/100 Japanese yen at 65.04.